Many elderly patients die every year from falls that cause severe injuries such as brain damage or breaking their bones. This happens because they fall out of their beds mostly at night. As people age, it becomes difficult for them to care for themselves, control themselves and stop themselves from falls. Falls can occur when patients want to use the bathroom, and there is no one to answer their calls. Usually there is not enough staff to monitor each patient at night when they are sleeping, and it is difficult to keep watch 24/7. A bed alarm system’s purpose is to allow easy communication between the patients and their caretakers. It can help minimize these falls and injuries and ensure that the patients are safe. What bed alarms do is that they detect movement from the patient, and give out a sound when the patients try to get out of bed. This notifies the caretaker before anything severe happens and gives him/her enough time to respond to the situation before a fall could take place. The bed alarm system provides benefits for not only the patient but also the caretaker. It allows flexibility for the caretaker because this way, he or she will not have to be on constant watch or concern. As for the patient, they would feel comfortable that they are safe and will be at ease. They are convenient for your use. You can place them outside the patient’s room so that it does not startle them when they make a sound. You can also control the volume of the alarm so that it does not disturb others. 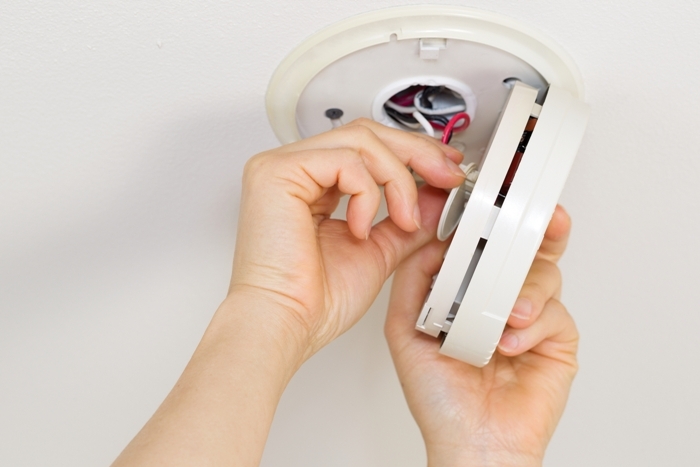 Another convenient thing about the alarm is that they can be used either on a power cable or on batteries. People not only want to go through a safe and secure check, but also want it to be more convenient and less time consuming. The 3D biometric terminal can be used for various settings – residential buildings, small and large enterprises, governments and institutions. Capturing the highest quantity of your finger print through its 3D and contact free sensor, it guarantees you better matching results and higher security than other biometric systems. It is quick and saves you the time spent on finger scanning and failure to enroll with the most difficult fingers –so fewer errors! It provides the best output in access control, time and attendance, civil and criminal identification. It can be used indoors and outdoors, and it is multifunctional. It is highly accurate that it identifies users 100 % of the time and not just verifies them. Visitors can also be registered right at the terminal. It provides maximum security to the premises. Its software and hardware are completely modular. You can configure it and have it customized according to your requirements. You can include your own messages, pictures or logos at minimum time and cost. The solutions are modular and can be easily integrated with other systems. It also reduces the need for exceptional handling. It is hygienic for sensitive users.